We are a very unusual business. We are treasure hunters, of sorts. But we do not seek sunken ships, buried treasures, or archeological ruins. Rather we recover GENUINE VINTAGE MEMORABILIA from dusty warehouses, old factories, and closed stores. Because we find merchandise in multiples, we are able to maintain LOW PRICES. Many of our customers are antique dealers and other retailers, who resale these items, often at a substantial profit. We also have some limited stock of higher priced upscale items for the discriminating dealer or collector. Whether you are a collector or dealer, here is your opportunity to purchase a piece of history from the popular culture . . . at popular prices! For more about us please click here. We accept Visa or MasterCard. We also accept PayPal. PLEASE READ BEFORE ORDERING: click here. 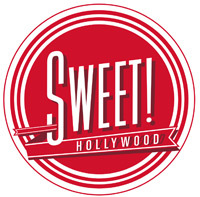 When in Hollywood visit our satellite store inside SWEET! America’s Greatest Candy Store at the famous Hollywood & Highland Center! Click here for more info about SWEET! Thanks also to myFoxla television HOT LIST for chosing Shine Gallery as one of the top five vintage stores in Los Angeles! THANKS FOR THE KIND WORDS . . .
Bernie Shine is "The King of Collectibles!" KFWB Radio Interview by "Home Wizards" Cindy Dole and Eric Stromer; To listen to the entire interview, click here. "An astonishing collection of items from bygone eras..."
"Here you will find bona fide period objects...all authentic and vintage..."
"SHINE GALLERY my new favorite store!" "Shine Gallery—what don't I like there? I love just about everything. It’s a little overwhelming . . ."